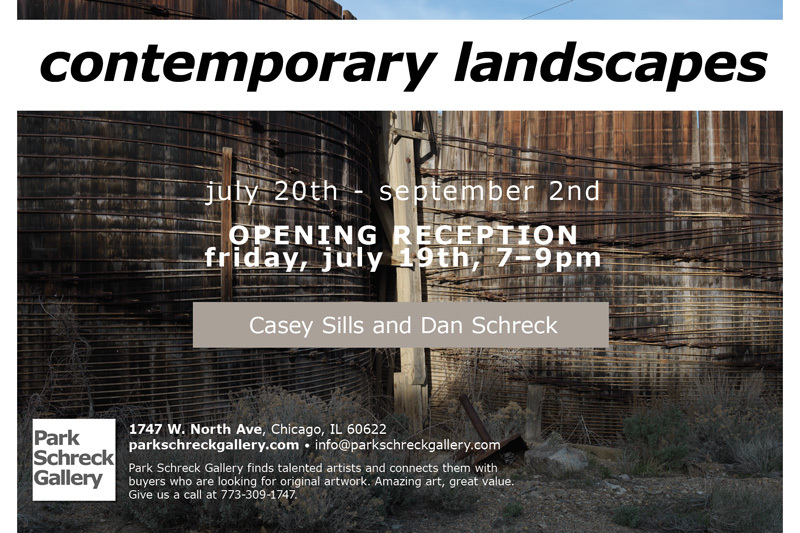 CONTEMPORARY LANDSCAPES — an upcoming art exhibition, starting with an opening reception on Friday, July 19th, from 7-9pm. We will be featuring photographs that are breathtaking in their simplicity. This entry was posted in Openings and Events and tagged art, Arts, Chicago, Park Schreck Gallery. Bookmark the permalink.